Stability analysis of the dam is important for disaster prevention and reduction. The dam’s geometry plays an important role in understanding its stability. 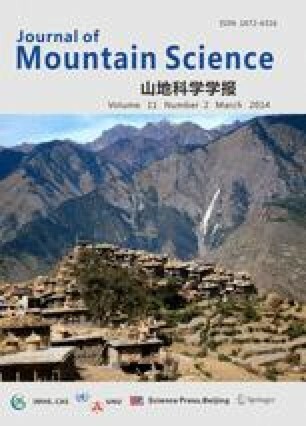 This study develops a rapid landslide dam geometry assessment method for both earthquake-induced and rainfall-induced landslide dams based on nine real cases collected in Chinese Taipei and 214 cases collected worldwide. For simplification purposes, a landslide dam is classified into triangular or trapezoidal. The rapid landslide dam geometry assessment method in this paper uses only satellite maps and the topographic maps to get landslide area, and then analyze the dam geometry. These maps are used to evaluate the area of the landslide and the slope of the river bed. Based on the evaluation information, the proposed method can calculate dam height, the length of the dam, and the angles of the dam in both upstream and downstream directions. These geometry parameters of a landslide dam provide important information for further dam stability analysis. The proposed methodology is applied to a real landslide dam case at Hsiaolin Village. The result shows that the proposed method can be used to assess the landslide dam geometry.